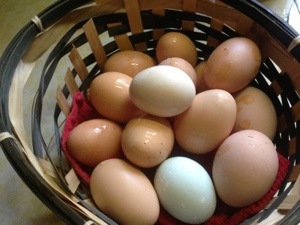 Who needs to dye eggs when you have a basket full of these? Looks like our young hens (yes we have been a bit busy with 7 baby chicks and 2 young hens) are now layers! Which made this guy a very happy boy! 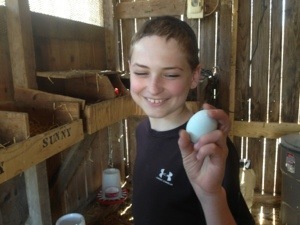 He has wanted blue eggs for a long time! 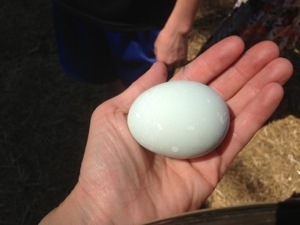 I found one Beautiful blue egg in the henhouse today!